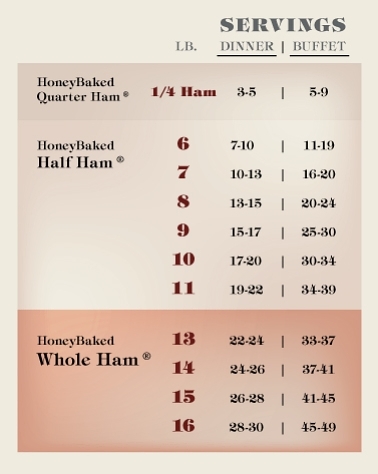 easily figure how much ham you'll need per serving. Plan ahead and make sure you have enough HoneyBaked to serve your guests. Side dishes come in Pint, Quart and 2 Quart sizes.